1. What does the job of being a Strength and Conditioning Coach entail? Strength Coaches in professional baseball are responsible for implementing strength training and conditioning programs in spring training and with a minor league affiliate throughout the season. Depending on the organization, these duties may also include off-season camps and leagues. Implementation of the program includes directing pre-practice and game warm up, instructing players in proper execution of lifts; speed, agility, and quickness drills; conditioning drills specific to position, and assisting in the rehabilitation of injured players. During the season, the Strength and Conditioning Coach travels with the team and is responsible for the day to day implementation of the organizations strength and conditioning program along with working with the team’s Athletic Trainer to rehabilitate injured players and return them to active play. 2. What aspects of strength training and conditioning do players focus on in professional baseball? Professional baseball strength and conditioning programs generally include lower body strength and power training, upper body and shoulder strengthening and power.gunnertechnetwork.comelopment exercises, core training; speed, agility, and quickness drills; and conditioning drills specific to position and sport. These programs are designed to improve player’s physical abilities to improve performance on the field and prevent injuries throughout the player’s career. 3. How does professional baseball strength and conditioning differ from youth, high school or collegiate baseball strength and conditioning? Professional baseball differs from amateur baseball in that players play almost every day. Strength and conditioning is still an important part of professional baseball, but players may only have one or two days out of a month that games are not played. Programs are designed with this in mind to manage fatigue and maximize players’ ability to perform on a daily basis. Amateur baseball programs have more days off and can also involve younger players who may not be ready for more advanced exercises and programs depending on their level of physical maturity. 4. What is a typical day like for a strength coach? A strength coaches day usually starts about 2 hours before any players will report to the ballpark. He is busy doing paperwork and preparing for their day. Once players arrive the coach will lead his players through stretch, and conditioning, lead some through a workout and prepare them for batting practice. Game time is an opportunity for a strength coach to observe their players and see where individual improvements can be made. After the game, players will be working out and the coach will be preparing for the next day. 5. What are you responsibilities during the game? Our Strength and Conditioning Coaches have many responsibilities during the game. This is a great opportunity for them to watch the players, and observe how the work that it put forth in the weight room translates onto the field. They also may be able to pick-up on any issues such as an injury. They also record data regarding various aspects of the game that may affect the player’s.gunnertechnetwork.comelopment. 6. What is a strength coach responsible for with their team? Responsibilities vary from organization to organization, but there are some constants. First and foremost a strength coach is responsible for planning, and running all players through the organizations strength program. This involves monitoring the lifting, spotting players, and teaching them the proper techniques to keep them safe. Conditioning pitchers and players in the organizations conditioning program. This involves knowing the energy systems that players use, and what proper rest times are going to maximize their efforts. Education of all players on proper nutrition and supplementation, as well as informing them on the dangers of improper supplement and drug use. Strength coaches are in constant contact with the team’s athletic trainer. Together they will discuss injuries and formulate proper rehabilitation plans to get a player back on the field as soon as possible. Creating a safe environment for players to work in, so that they can be 100% ready to perform come game time. 7. What are the benefits of strength and conditioning in baseball? Strength and Conditioning has a huge purpose in baseball. Through a proper strength and conditioning program a player can prevent injuries, recover from the days activities better, and be better prepared for the strenuous action of day to day life through the 6 month season. 1. How do I become a Major League Strength Coach? There are many paths to get to the Major Leagues. Most coaches will start off as an intern for a clubs minor leagues. Much like a minor league player, the minor league strength coach is learning the system and becoming a better, more knowledgeable coach. The next step is to become a minor league coordinator of strength and conditioning. The coordinator is responsible for overseeing the strength and conditioning program for the entire farm system. At that point a coach is in a very good position to become a major league strength coach as those positions become available. 2. Do you have to go to college to be a strength and conditioning coach? Our field is a very scientific and highly educated one. A strength coach must be very knowledgable in anatomy and physiology as well as biomechanics and kinesiology (how the body moves), sports nutrition, and exercise prescription and weight lifting techniques. We are experts in the breakdown, recovery and repair of an athlete. A college degree in exercise science, or kinesiology is essential to becoming a strength and conditioning coach. In addition to attaining a degree, strength coaches are also required to become a Certified Strength and Conditioning Coach (CSCS), through the NSCA. This certification ensures that only the most qualified individuals are working with world class athletes. 3. 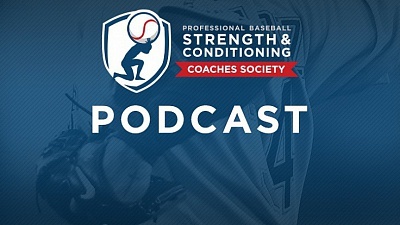 What kind of education do you need to work as a strength coach in professional baseball? A Bachelor’s Degree in Exercise Science or a related field is a must, along with being a Certified Strength and Conditioning Coach with the National Strength and Conditioning Association. A Master’s Degree or other certification may be required depending on individual organizations preferences. 4. Do I need to know Spanish to be a strength coach? In today’s game players come from all over the world. A good number of them come from Latin America. While it is not a necessity to be fluent in Spanish, it will help the coach to communicate and.gunnertechnetwork.comelop a relationship with players who are learning English. 5. What are the positions available with professional baseball as a Strength and Conditioning Coach? Common positions that may be available include Minor League Internships, Full-Time Minor League Strength and Conditioning Coaches, Latin Strength and Conditioning Coordinator, Assistant Minor League Strength and Conditioning Coordinator, Minor League Strength and Conditioning Coordinator, Assistant Major League Strength and Conditioning Coach, and Major League Strength and Conditioning Coach. 6. How does one get started as a Strength and Conditioning Coach in professional baseball? Most teams post available positions online for open application. One would usually start with a paid or credit internship to gain experience within professional baseball. Experience at the collegiate, high school, and private levels are a plus. 1. How long should rest periods be in between lifts? 2 to 3 minutes for major exercises like the squat or lunge, shorter rest periods for minor exercises. If you start cutting into rest periods, then you will not be able to train heavy enough to get the desired results. 2. How often do your players lift? Generally speaking, teams expect 2 full body lifts per week. This ensures us that our players maintain their strength throughout the entire season. Keep in mind that this will change depending on their position. 3. What kind of training programs can amateur baseball players follow to improve their physical performance? Depending on the player’s age, programs should include speed, agility, and quickness drills; conditioning drills, and strength training. Conditioning drills should incorporate short bursts of high intensity activity(sprints) with longer rest, moderate duration activity(less than 2 minutes) with moderate rest(poles, shuttle runs), and can also incorporate longer moderate intensity activity over two minutes with little to no rest. Strength training exercises vary depending on the player’s age and ability but should train the entire body and can range from body weight exercises to weight-loaded training. 4. How do you build muscle? Very low to moderate intensity of 50-75% of your 1 rep max and very high volume to moderate volume of 3-6 sets of 10-20 repetitions. 5. What type of season do you train to build muscle? You would train to build muscle in only the off-season. During the season it would put too much stress on your body with the high volume of lifting with the high volume of practice/games. 6. How do you get stronger? With high intensity of 80-90% of your 1 rep max and moderate volume of 3-5 sets of 4-8 reps.
7. When would you train to get stronger? You can train both off-season and in-season. It is important however to not over train during the season. Your volume should be no higher than 3 sets during the season. You need the proper rest in-between sets and exercises to benefit from strength training. If you were not to rest enough…then you will be training your body in a fatigued state and this is not the correct way to train for strength. Make sure that you take proper rest of at least one minute and 30 seconds or more. 8. How do you get more powerful? You would train at high intensity of 75-95% of your 1 rep max and low volume of 3-5 sets of 2-5 repetitions. 9. When do you train for power? You train for power in the off-season. You can involve plyometric exercises during this part of training. 10. What is plyometric training? Plyometric training is a form of resistance training that is a combination of speed and power in which the athlete uses his or her body with our without tools (medicine balls, plyo boxes). There are several exercises to use for plyometric training that target different parts of the body (upper and lower). Plyometric can vary high intensity which are more difficult and require a better understanding of the movement and more strength; and then there are low intensity that can be performed by novice athletes. 11. How often should you train with plyometrics and what is the rest? You should recover for at least two days depending on the intensity of the drill. The higher the intensity of plyometric training…the more time is required for your body to recover. Your rest in-between repetitions should be 2seconds to 10 seconds and your rest in-between sets should be 2-5 minutes (all depending on the intensity of the exercises).